Happy New year! 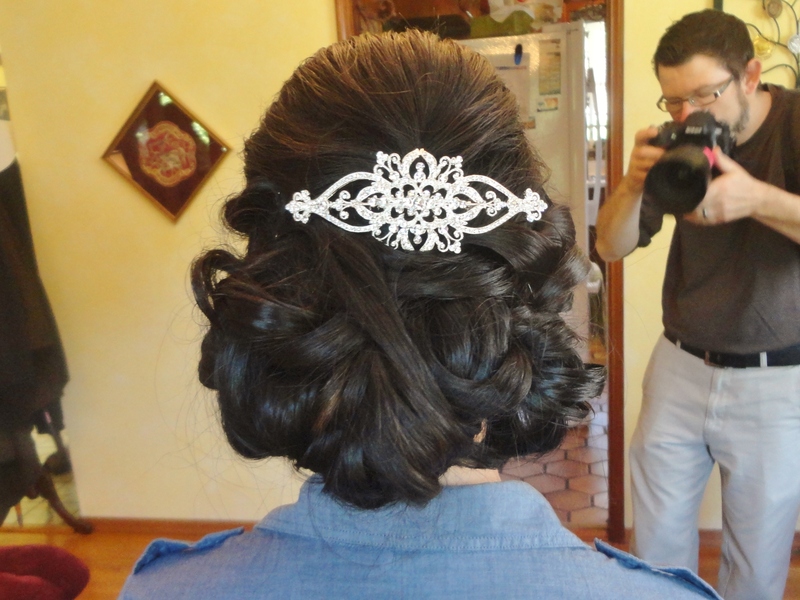 Wedding Season 2015 Review. It has been a long while since I have been able to sit down and share with you some fun stories and photos from wedding season 2015! What a year it was! Here are a few stories and pictures from the year. 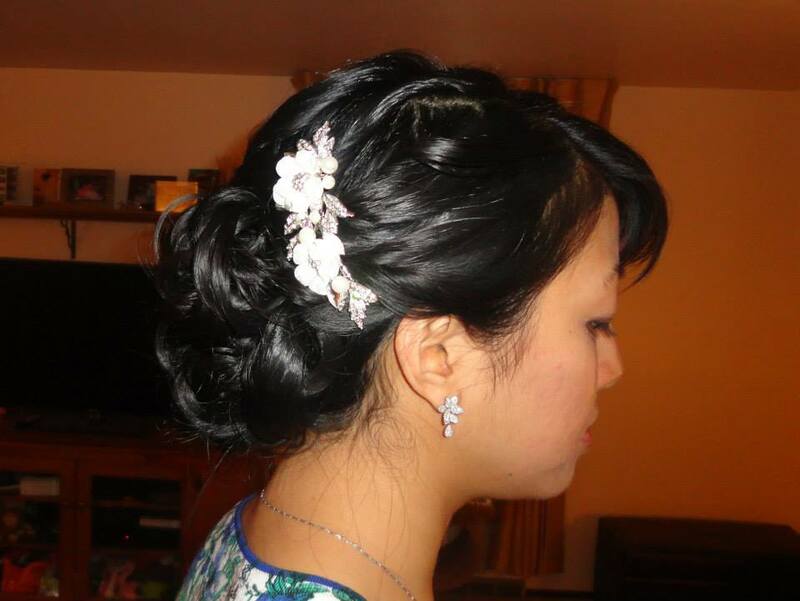 I can’t seem to find photos of every single bride I was lucky to meet, but trust me, it was a year full of beautiful hair! 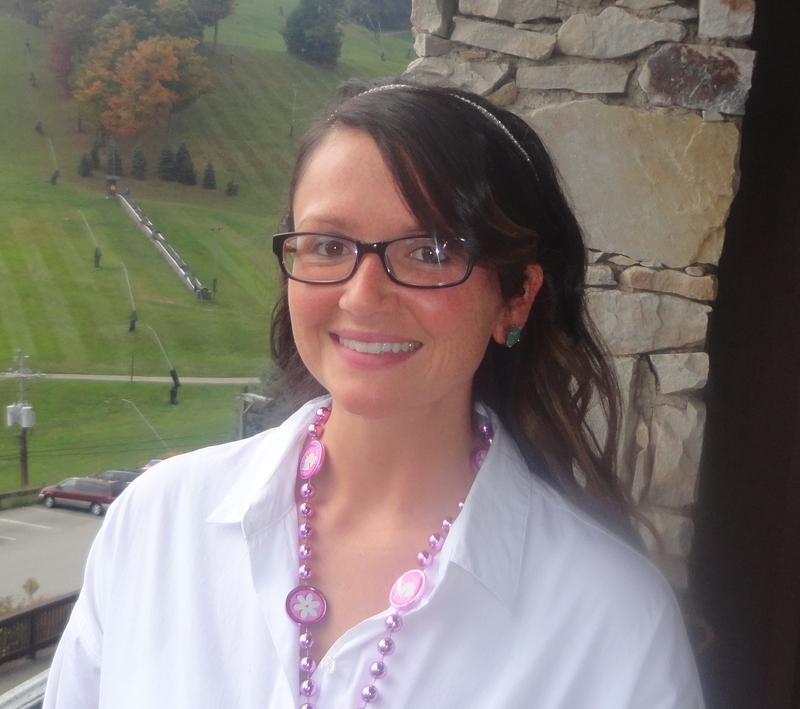 The season started for me in February with Ashley and Michelle’s wedding. 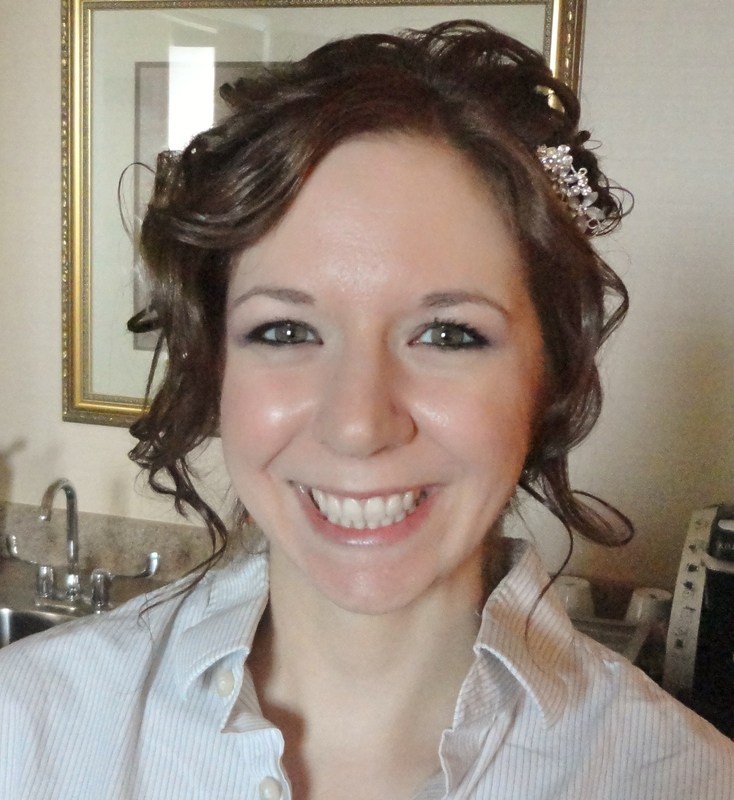 It snowed like crazy on Ashley’s big day but she was a beautiful bride! 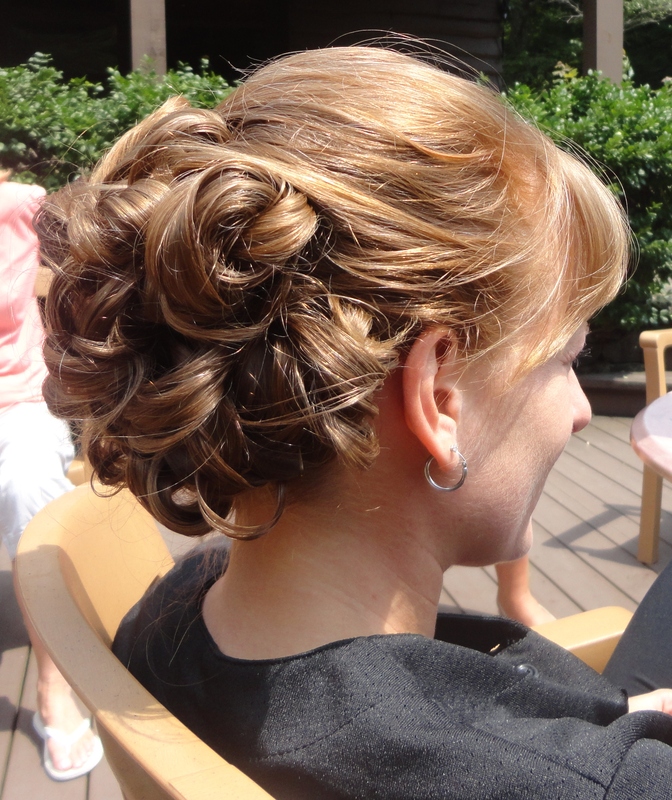 I did not style Michelle’s pretty short hair, but her bridesmaids were pretty amazing. It was wonderful to be a part of that day. In April I got to meet the lovely Marissa. 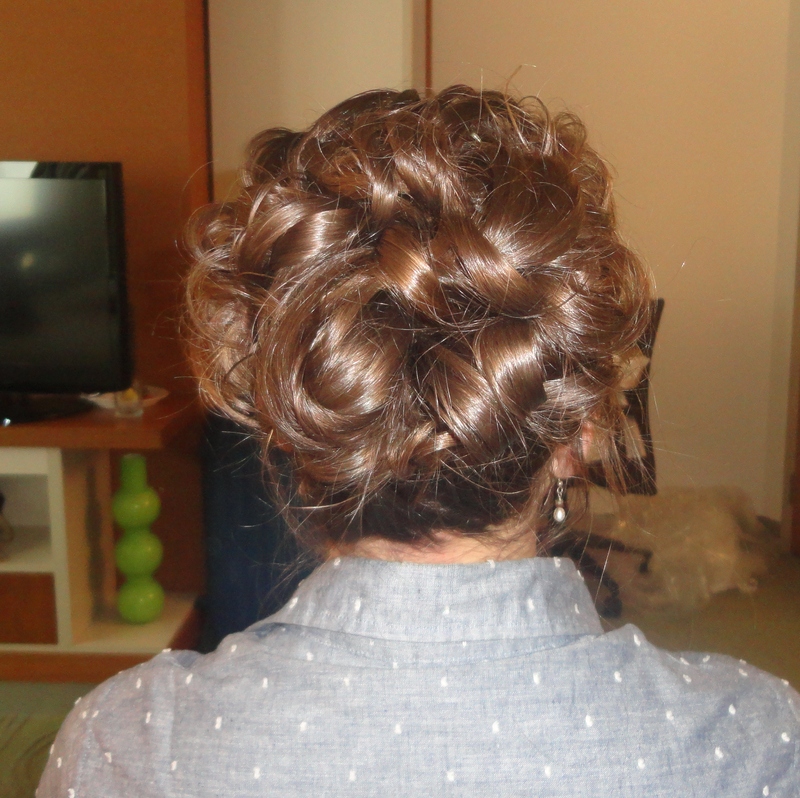 At her trial, we practiced a style with her hair all down and curled. 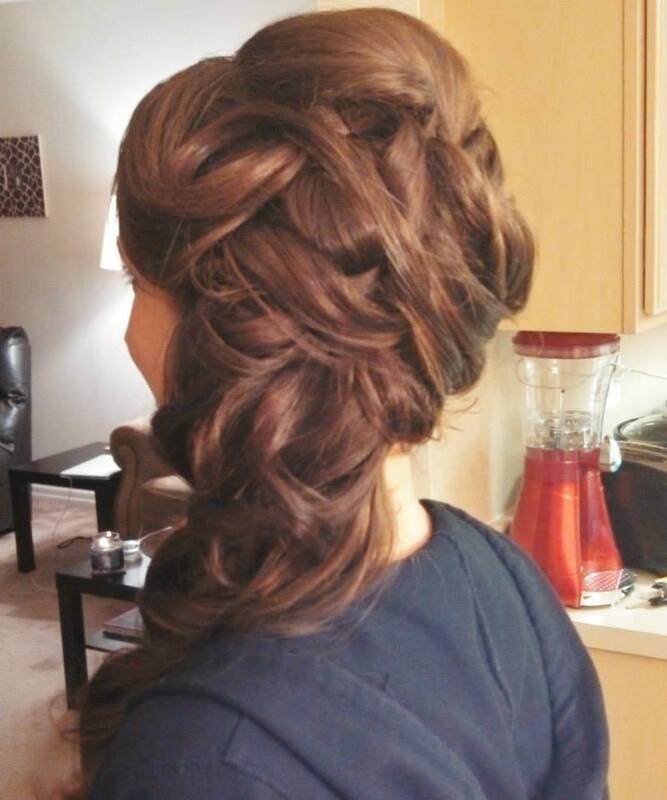 On the day of the wedding, she decided to where an updo. I loved it! 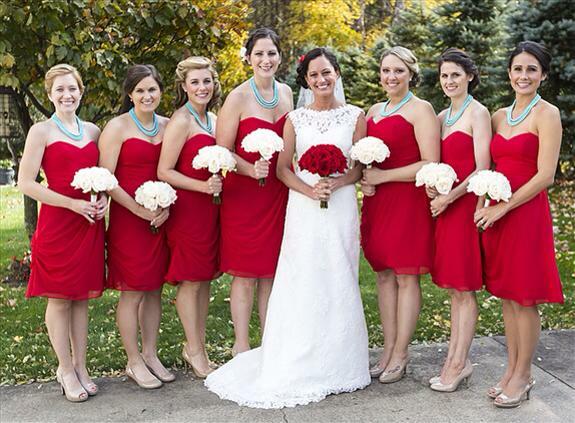 Kathryn, Andrea, Lauren, Shannon, and Melissa were my May brides this year. I loved the sparkling headband worn by Kathryn and the giant flower worn by Lauren was really breathtaking! 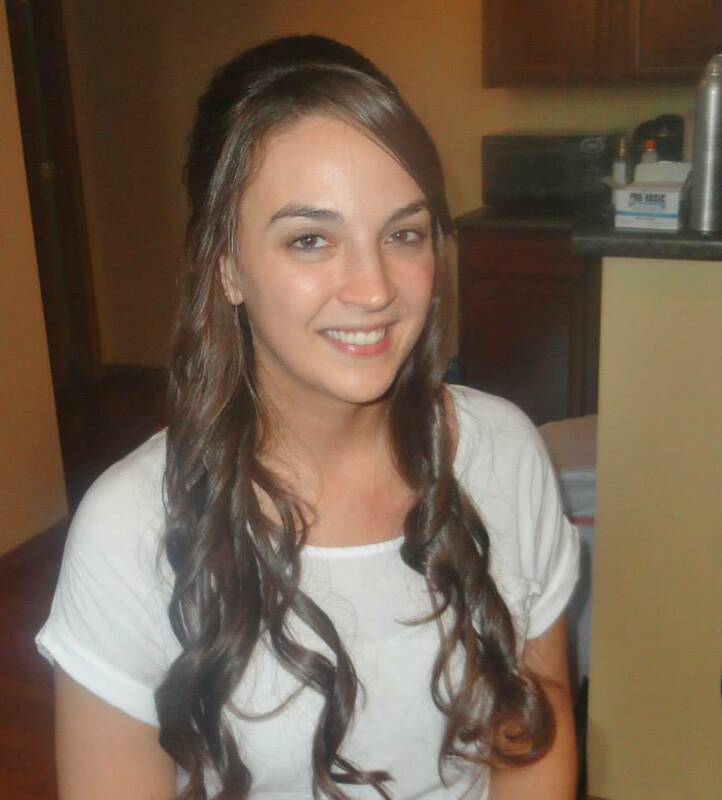 Shannon had my favorite half up/half down style for the year. She looked amazing! My wonderful friend Melissa was the final bride for the month. Photo by Kristen Wynn Photography. June proved to be a super rainy month for my brides. 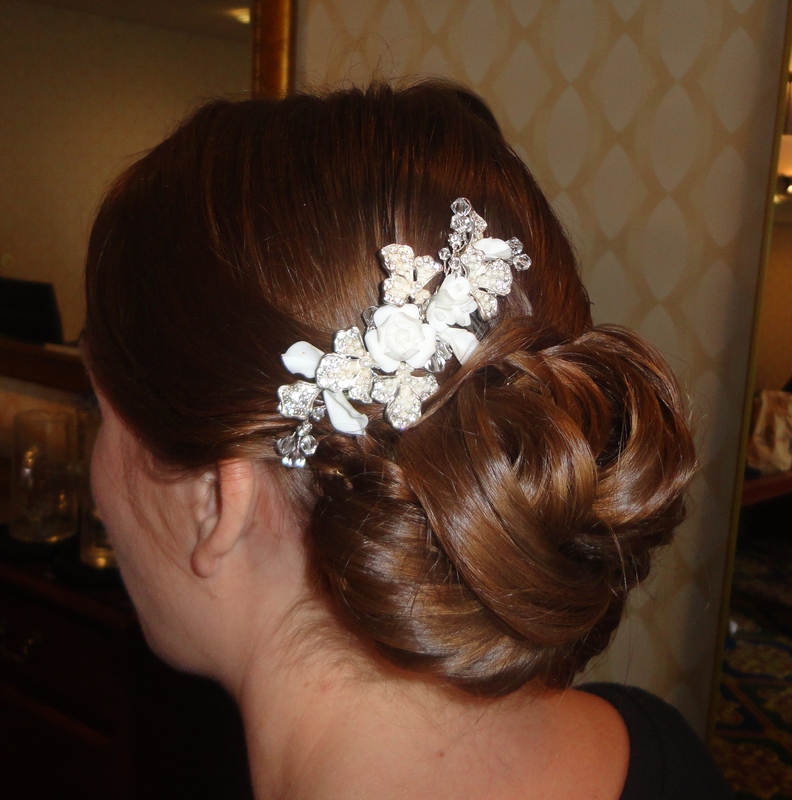 But even with all of the not so fun weather, these brides shined through and chose some pretty styles. 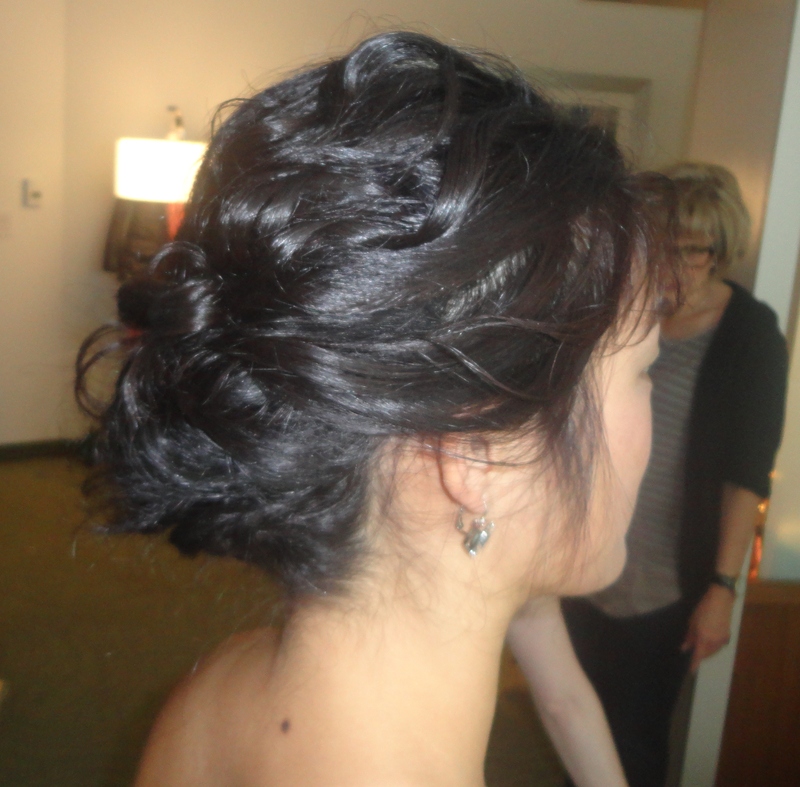 Stephanie’s updo was super soft and Jackie’s vintage look was one of my favorites. 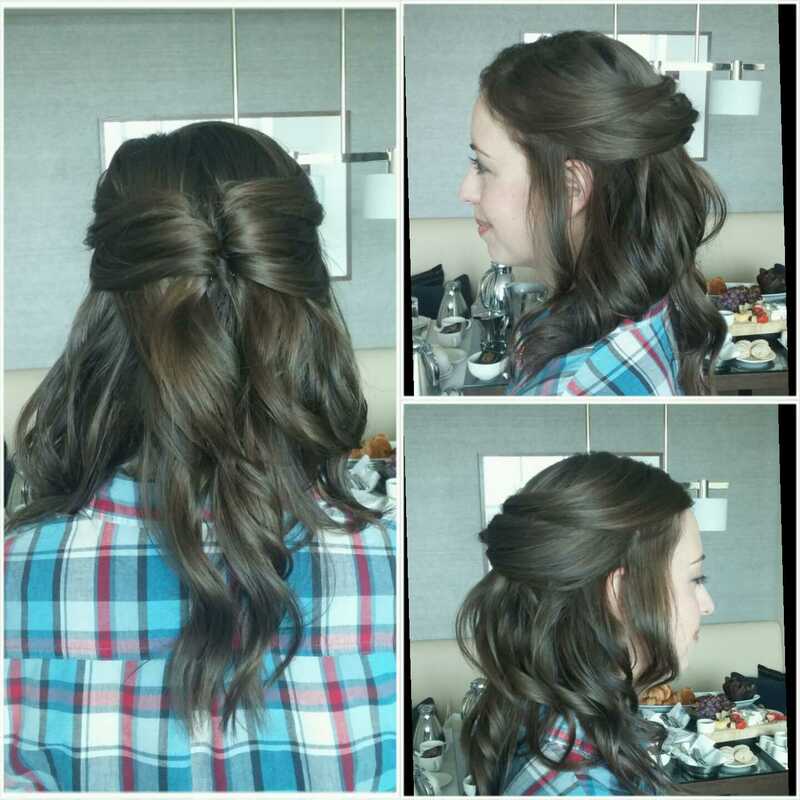 Maureen had lots of texture and Blair’s beautiful long hair was show stopping in a half up style. Michelle and Amy were my only two brides for the whole month of July. 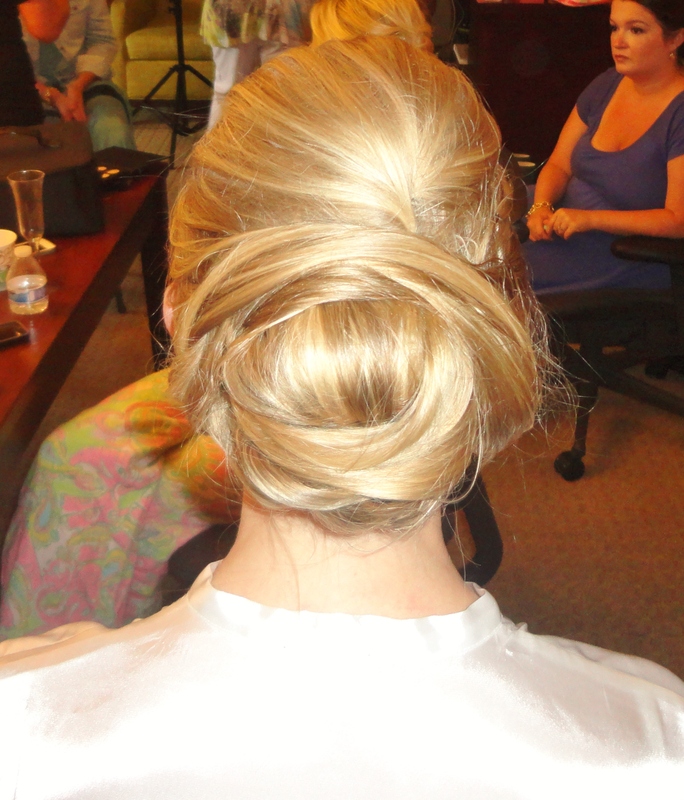 While I can’t seem to find a pic of Amy, here is a pic of the braided updo that Michelle wore! August was so busy! Tiffany, Casey, Laura and Erica all wore their long hair in half up/half down styles. So pretty and each unique. 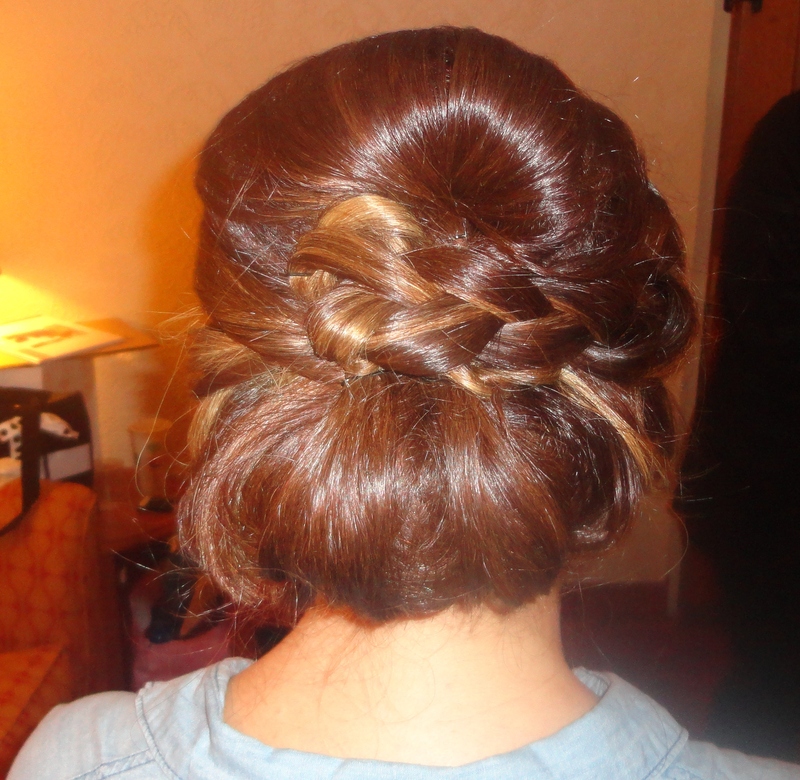 I loved the double braid in Jen’s updo. 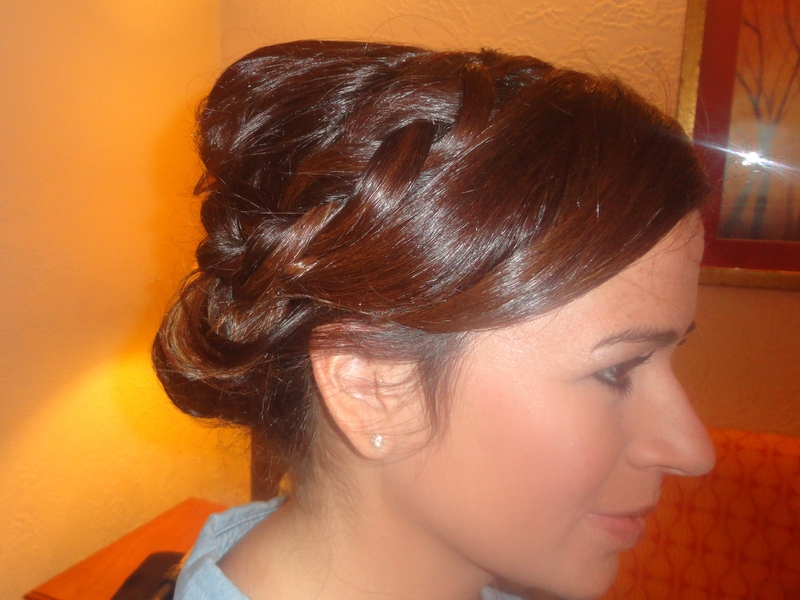 I was lucky to style for several parts of Hina’s wedding celebration. This was a crazy busy but very fun month! September was busy too! Michelle had one of my favorite looks for the year. I am a sucker for a cage veil! 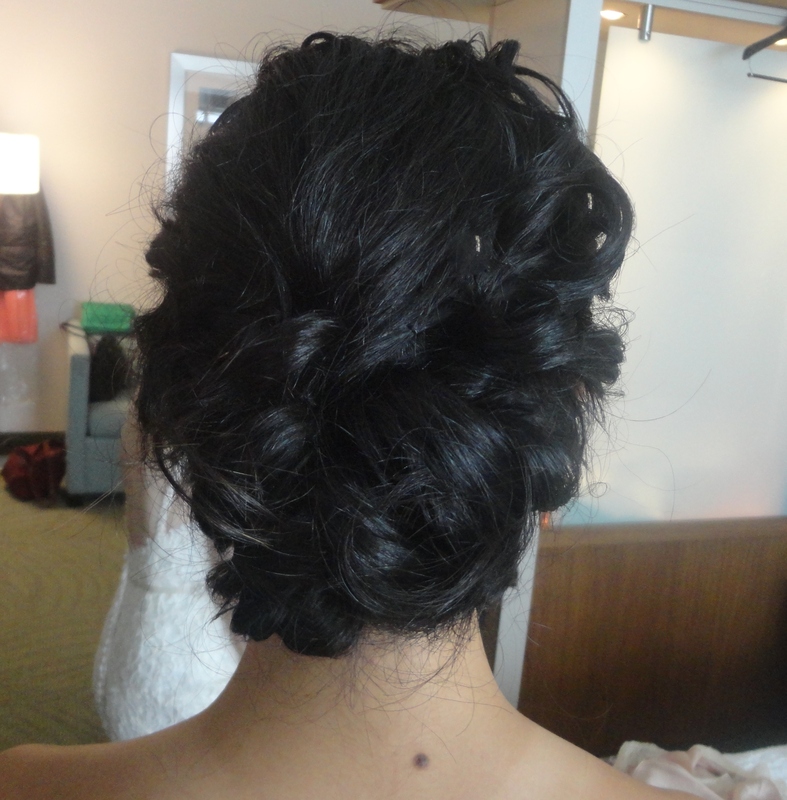 I also got to style a few times for Nabihah during her wedding weekend. I don’t have any photos from Lori’s big day, but I remember that she and her bridal party were so nice! 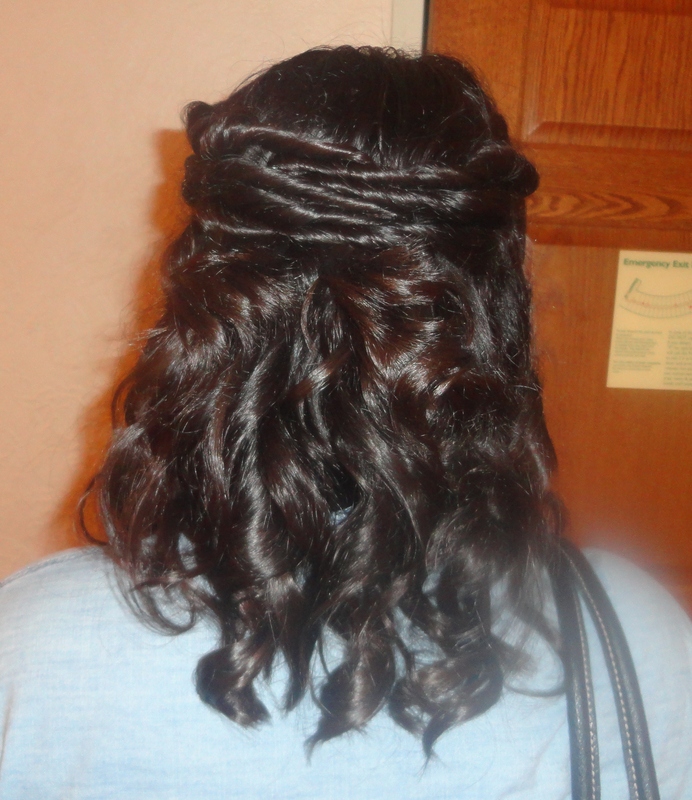 Heather’s headband looked perfect with her soft curls. October is always my favorite month as I am a former October bride myself. 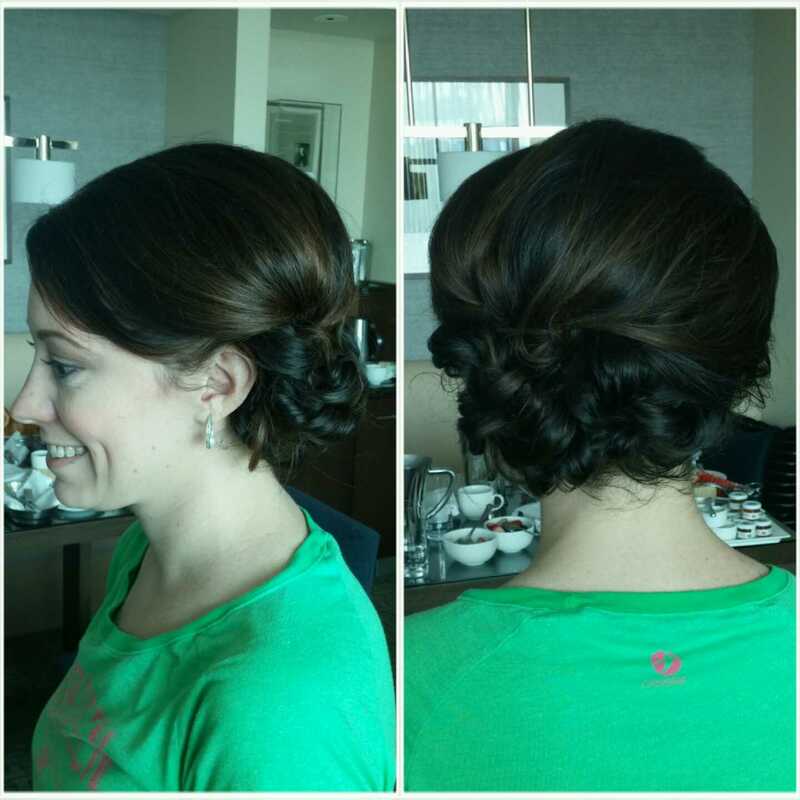 Justina changed things up on her wedding day and instead of wearing the low updo we practiced at the trial, went for a much higher updo that I loved. 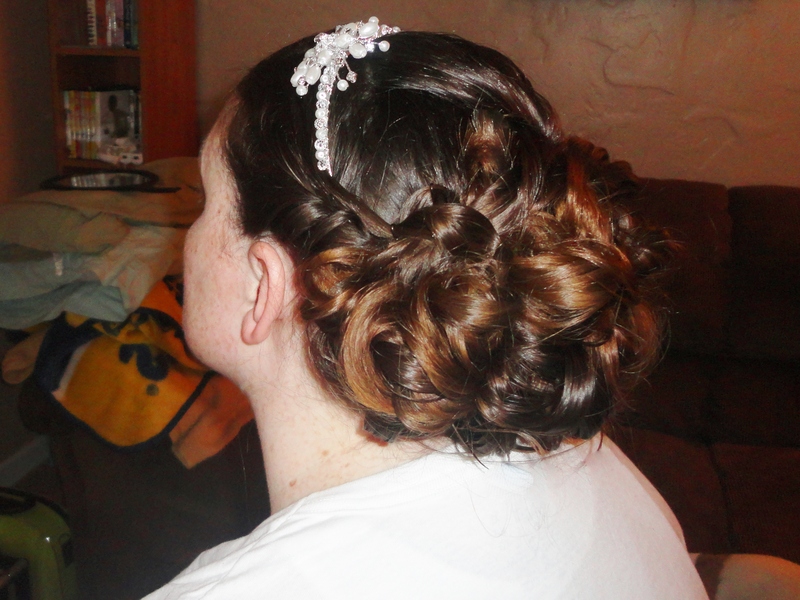 Nicole also had an amazing updo, while Eleni and Hayley went for long curls. Unfortunately, I don’t have any photos from Abbey’s big day but let me tell you, she was the most calm and sweet bride. 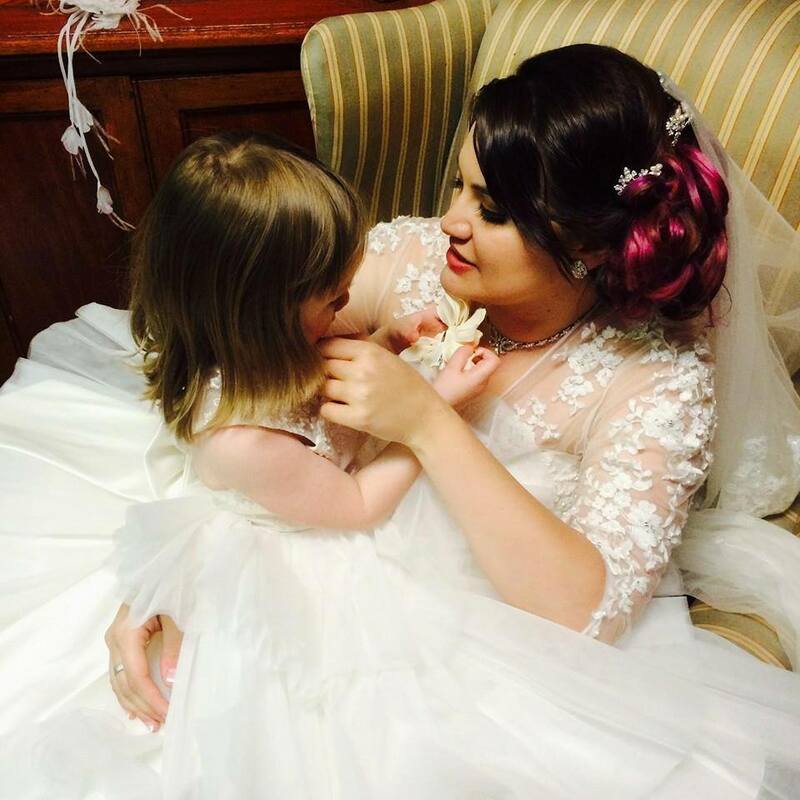 The final month of wedding season 2015 was November. Lauren, Janaya and Liz were the November brides. Lauren’s family were amazing to spend time with. I wish I had photos of all of their hair but I can’t find any! Janaya’s Oglebay wedding was fun. 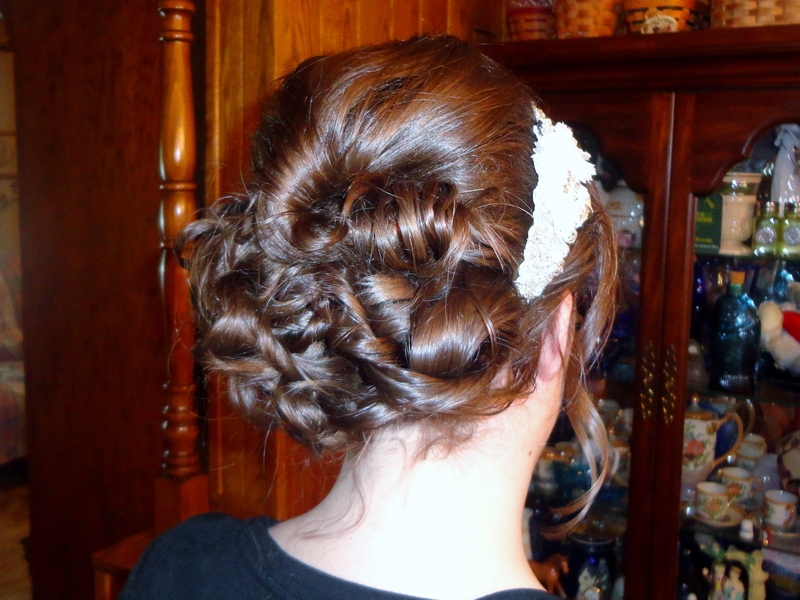 Her updo was the best! These pics do not do it justice. Final bride of the year was Liz. If there was an award for “Most Laid Back” Liz would win hands down. It was the perfect day to wrap up an amazing wedding season. I am so thankful to have the best job ever working with the best brides. I am lucky to get to be a small part of a big day for these lovely ladies. I’m sure that some of these brides were stressed but they all were beautiful. Thank you to each and every one of you for choosing me to be a part of your day. Happy New Year to you all and may your marriage be as fun and as beautiful as your wedding day. I am so excited with 2016 approaching to see what the wedding season will hold for me. 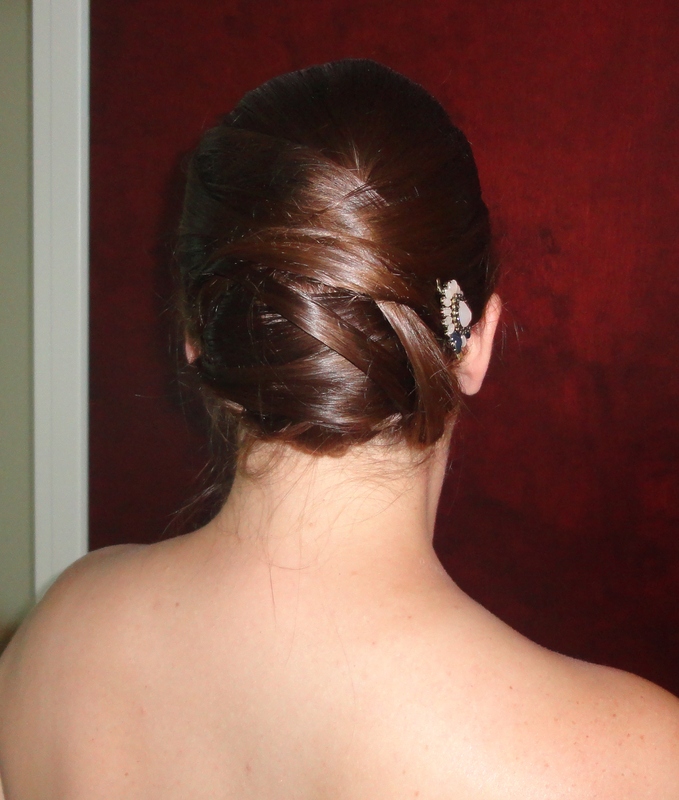 I am looking forward to meeting and getting to know each of the brides-to-be as they get ready for their big day. 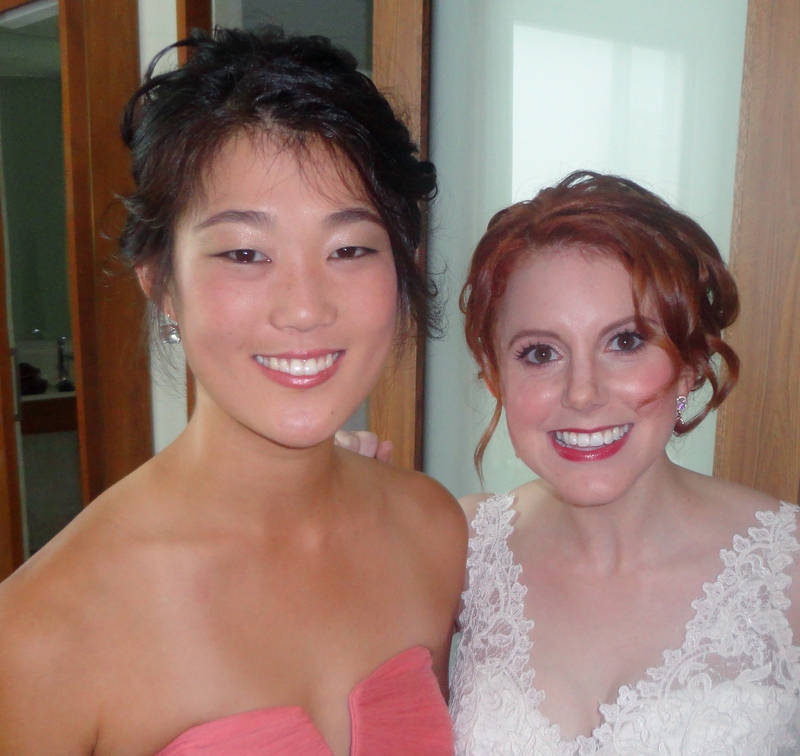 This weekend, I had the awesome pleasure of hanging out with bride Kathryn on her special day. 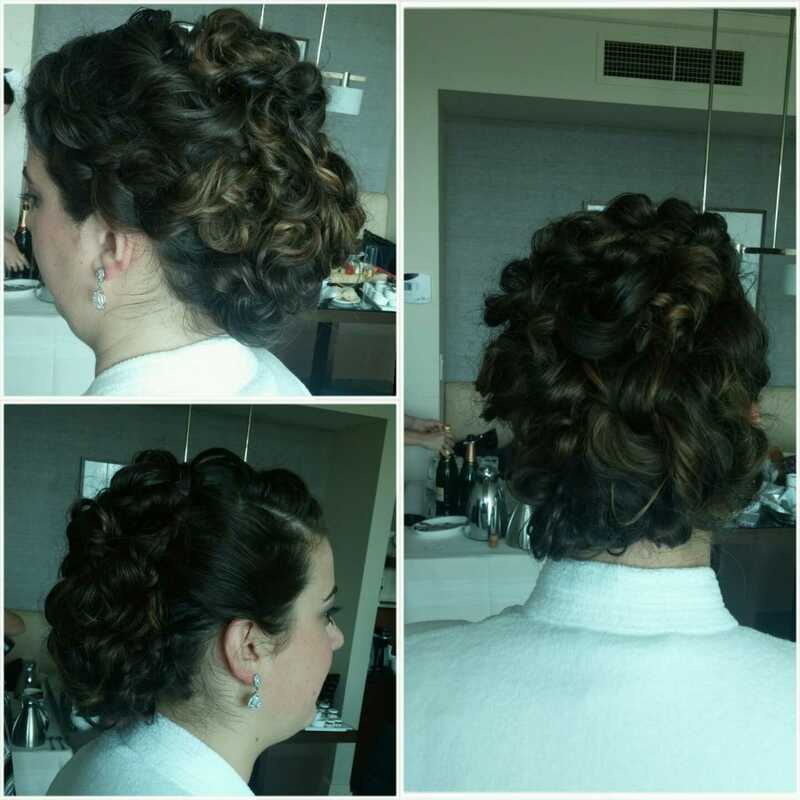 When we met for her trial not too long ago, she said that she wanted an up do for her amazing curly hair. 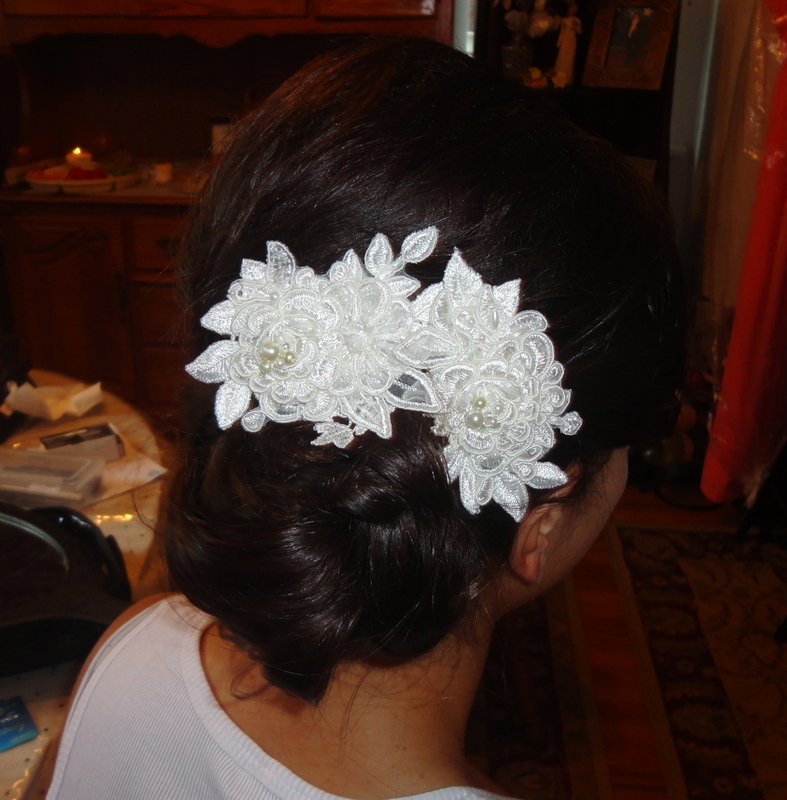 On her wedding day, we completed this style with a breathtaking headband. It was made from the same sparkle as a belt later worn with her dress. I love all of the curls and texture. I hope you do too! In addition to styling for Kathryn, she had some pretty great friends and family to working with as well. Here are some photos of her mom and her bridesmaids. It was a really great day for a wedding and each of these ladies made my job easy by simply being so awesome. Congratulations to Kathryn and Erik. Thank you for choosing me to be a small part of your big day! I hope everyone has been enjoying themselves throughout the holiday season. I wanted to share some fun stories and a few of my favorite photos from this past wedding season. It has a been a really fun and fast year and I have been lucky to share the day with just over 30 brides! The year started with a few snow loving January brides. 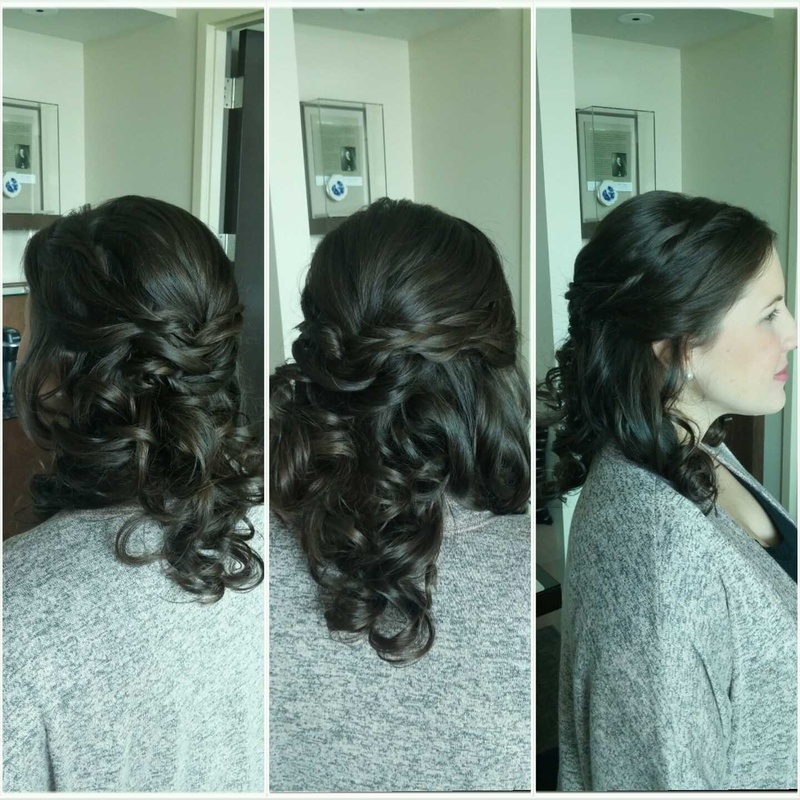 I got to style hair for Courtney, Sera and Lindsay on their chilly but awesome wedding days. 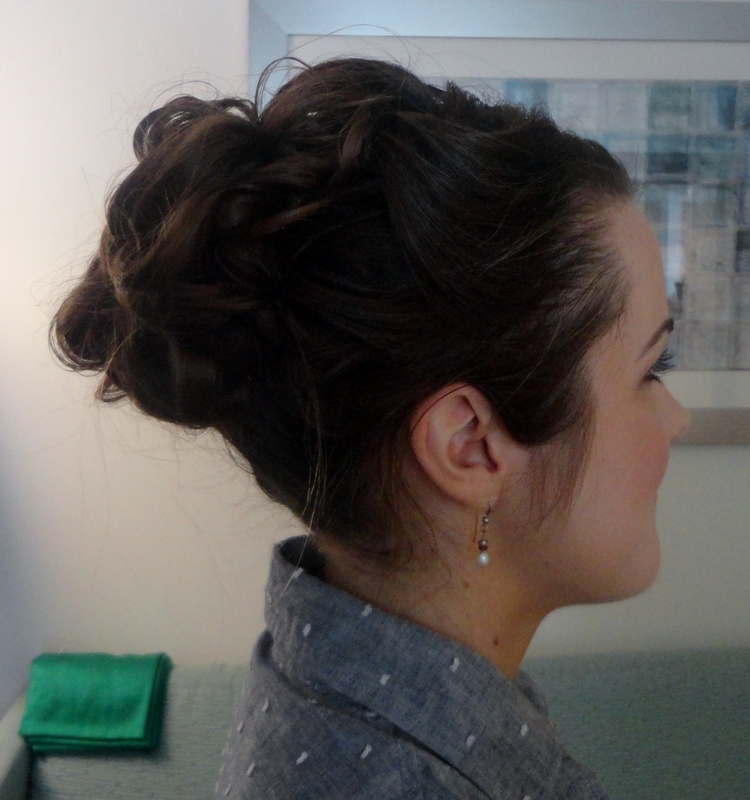 Here is a photo of Lindsay’s awesome side swept style. In March, I spent the day with the lovely Chaya. 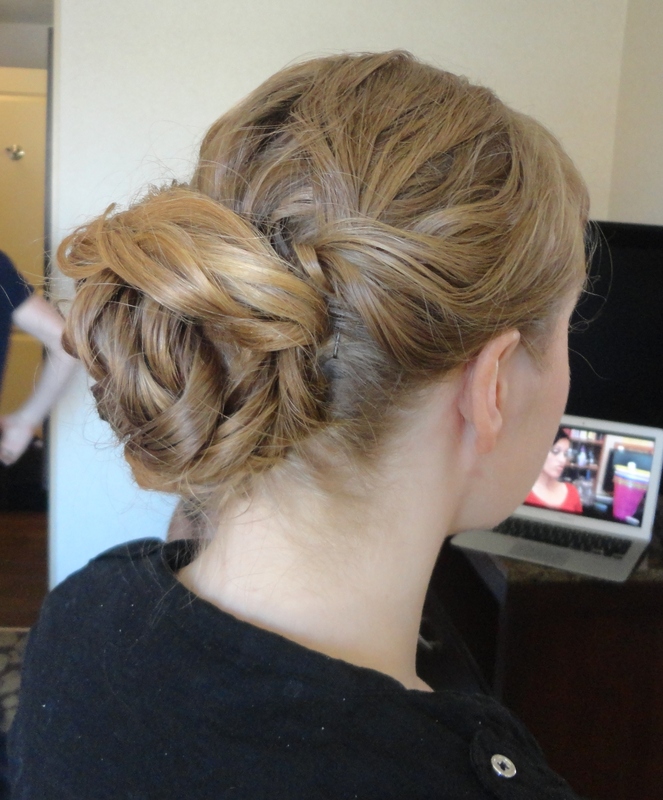 Her full and classic style updo was definitely one of my favorites for the year. For the month of April, I don’t have any photos of brides to share with you because I spent most of the month hanging out with my boys. 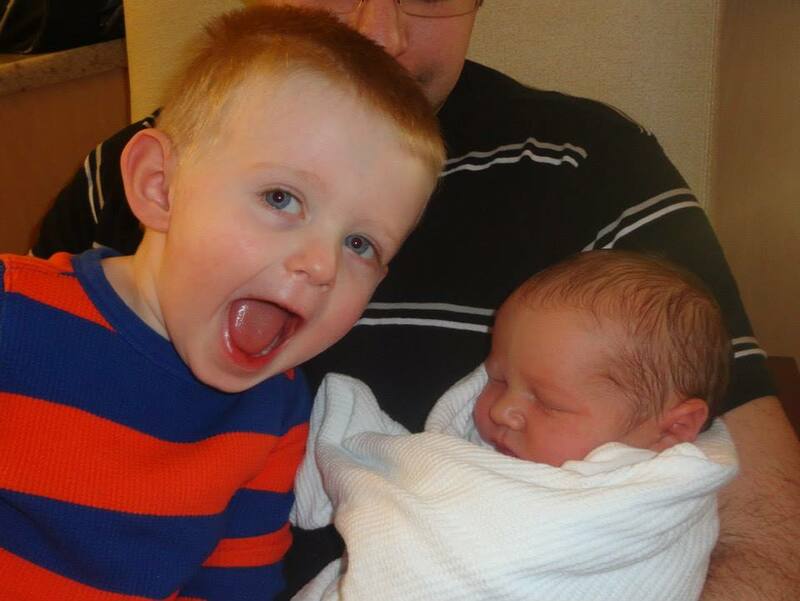 I gave birth to my second son on April 8th. I was able to sneak out of the house in May. 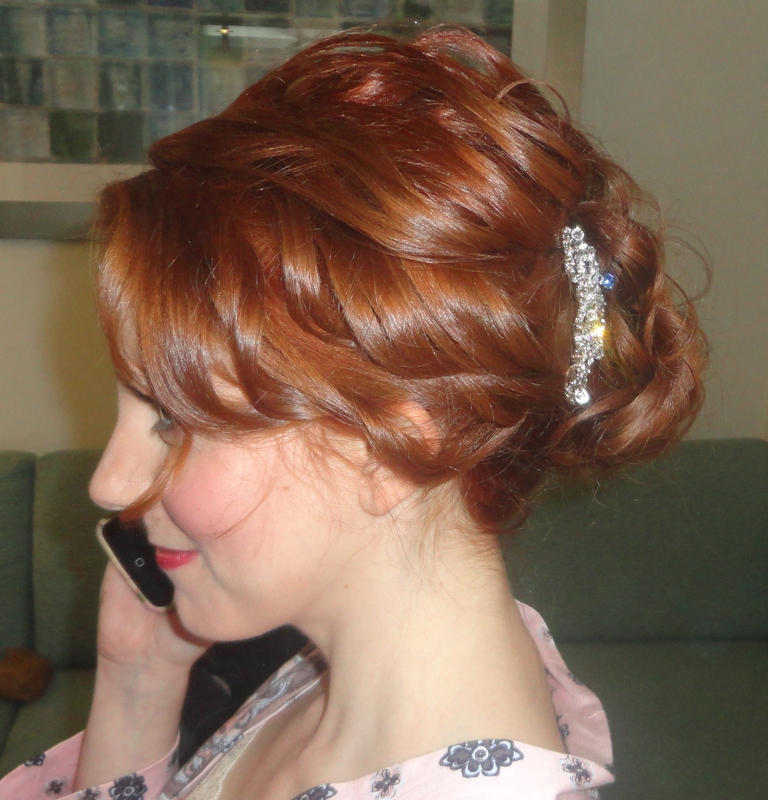 Mary was a super sweet bride and I was happy to style her hair! 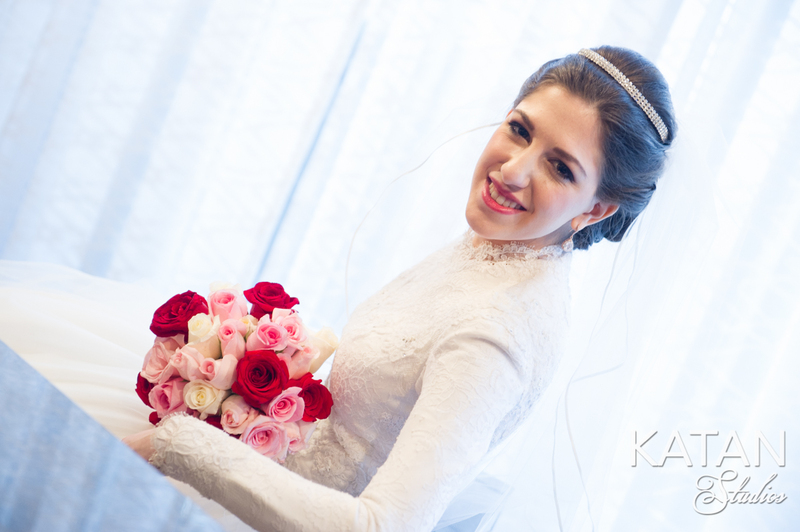 June is always thought of as a great month for weddings. This year there were some great ones! 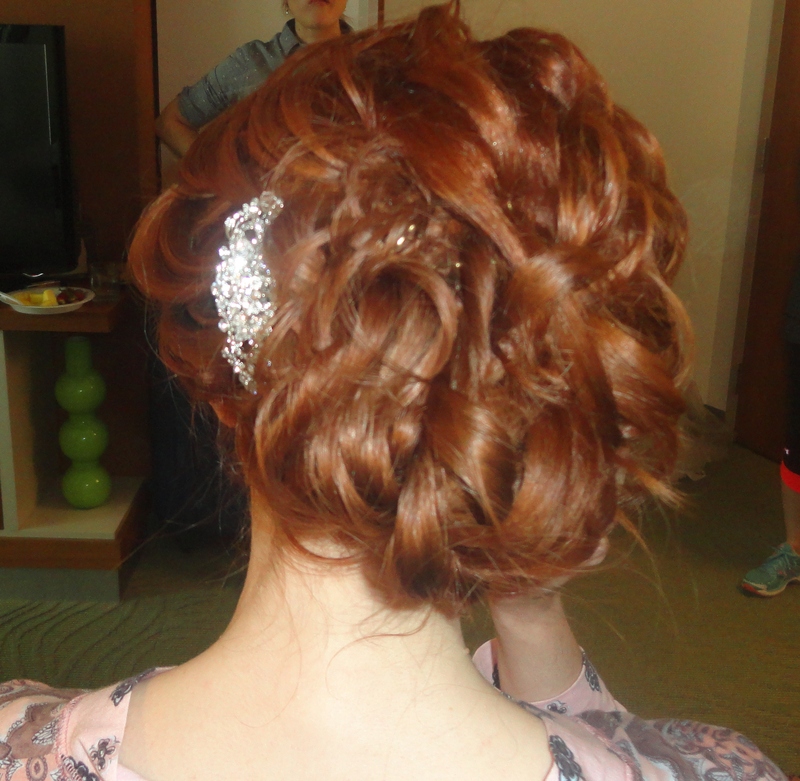 Karen, Nicole and Karrie had great updos in mind for the walk down the aisle. Official “wedding season” had definitely began by time I got to hang out with Jackie, Connie, Lindsay and Leslie for their July weddings. Each of these ladies were super fun. I loved the little surprises like the plate of wedding cookies from Jackie’s mom or the handmade buttons from Connie. Leslie’s carnival themed wedding was so adorable, I wanted to take it all home with me! August has been the craziest and busiest month for at least 3 years now. 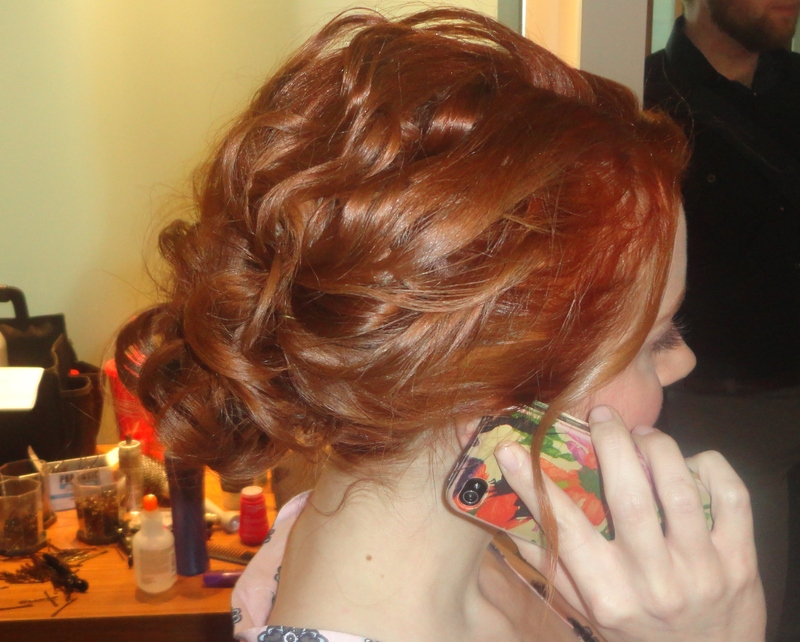 Laura was a hilarious and very chill bride with amazing curly red hair. Ashley’s 7Springs wedding was also great fun. 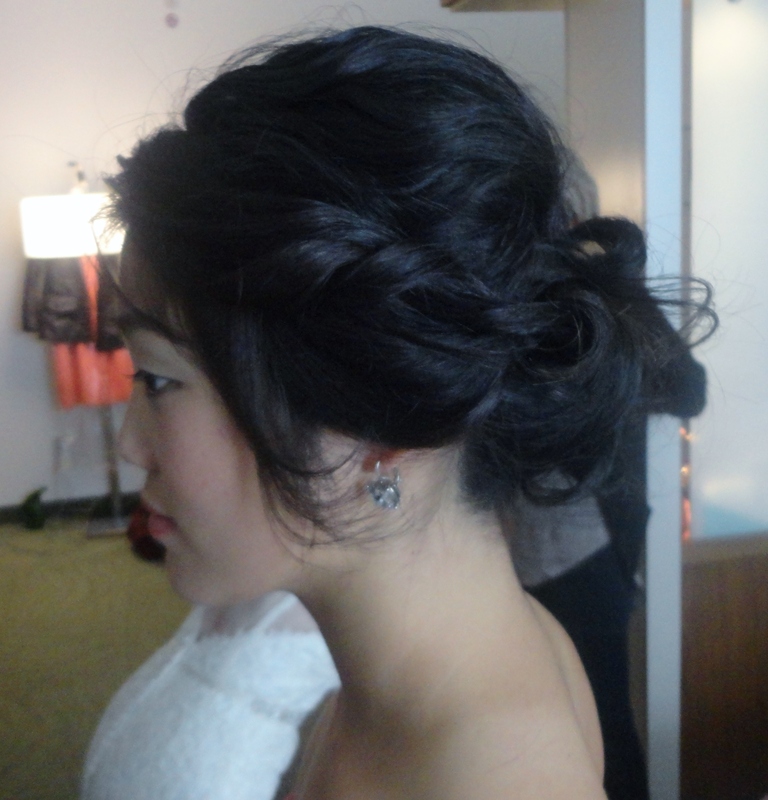 Megan’s super classy updo was perfect. 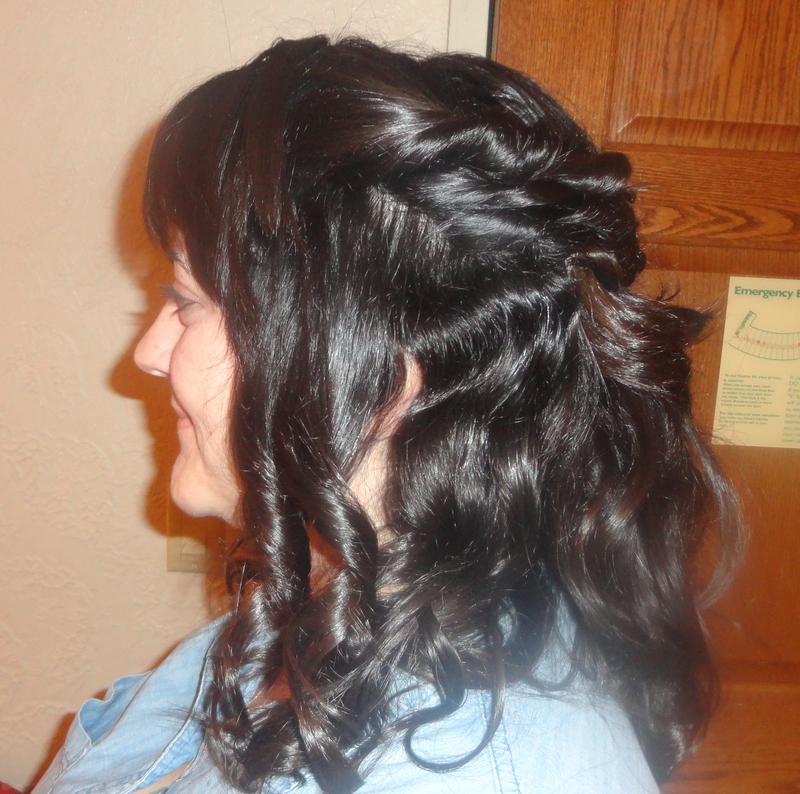 I don’t know that I have ever laughed more while styling hair than I did for Jenny and her bridal party. Rhiannon and her MOH brought tears to my eyes seeing how their life long friendship made them so emotionally happy. 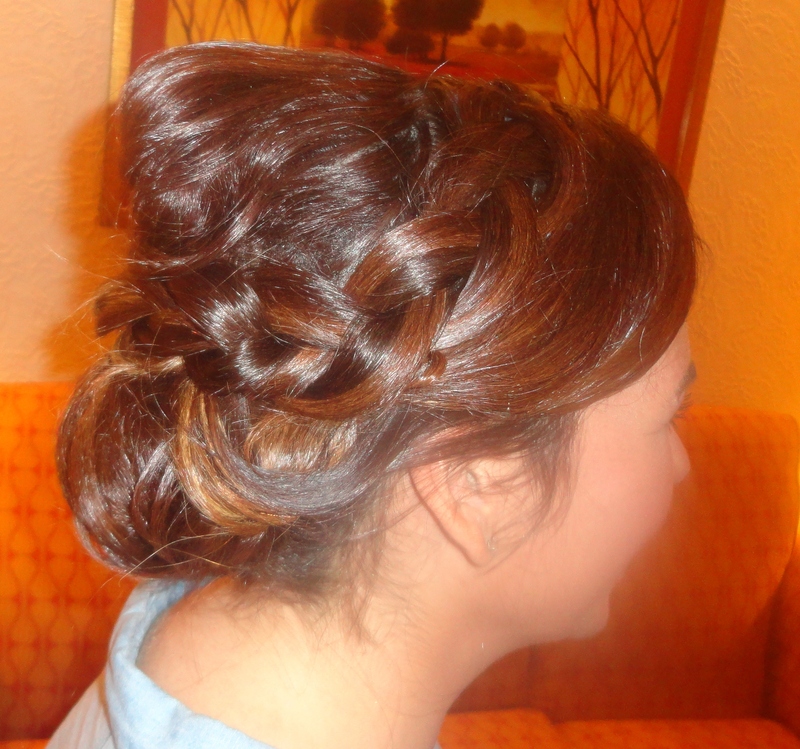 Kristina’s hair and venue were definitely favorites of mine for this year. It was an awesome month! Things definitely did not slow down in September. 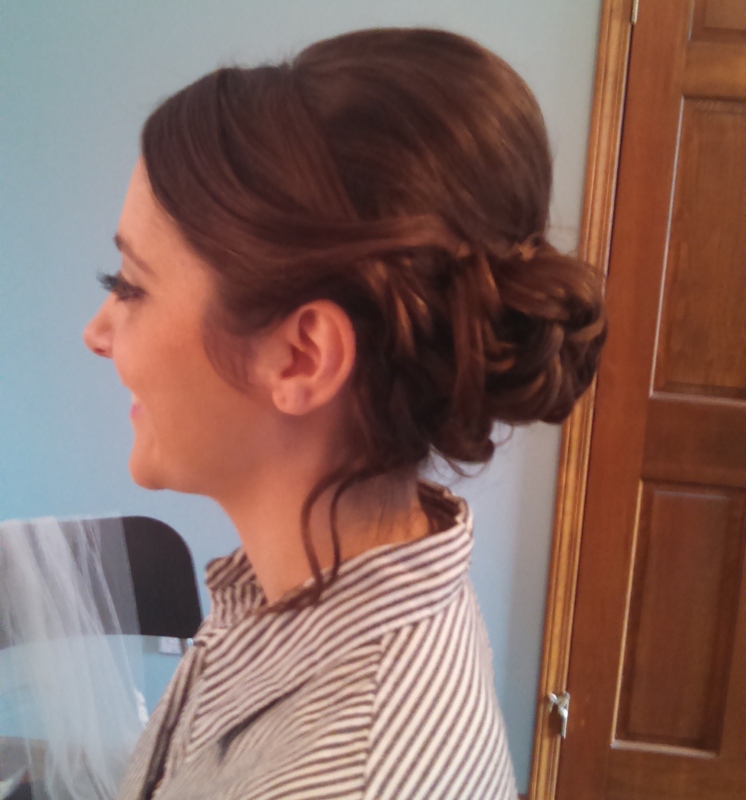 Elaina and Lynsey both chose to wear really fun updos. 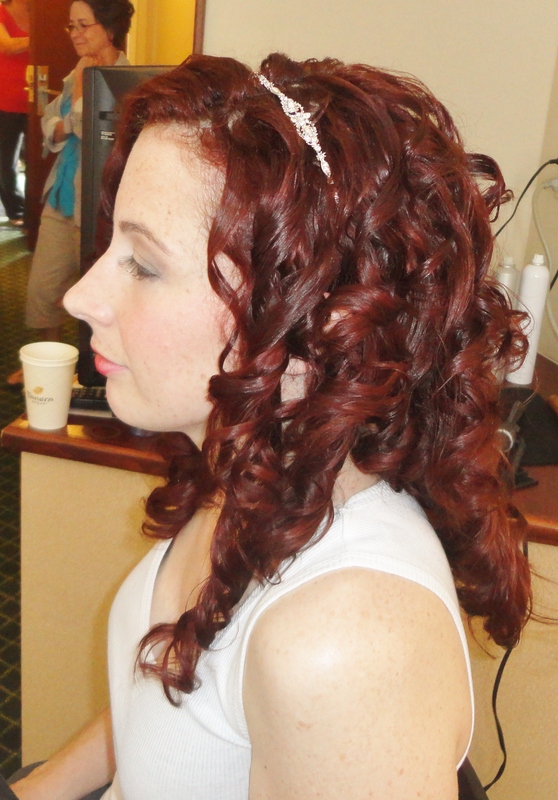 Molly was a fun bride and her flowing, curly style reflected that perfectly. 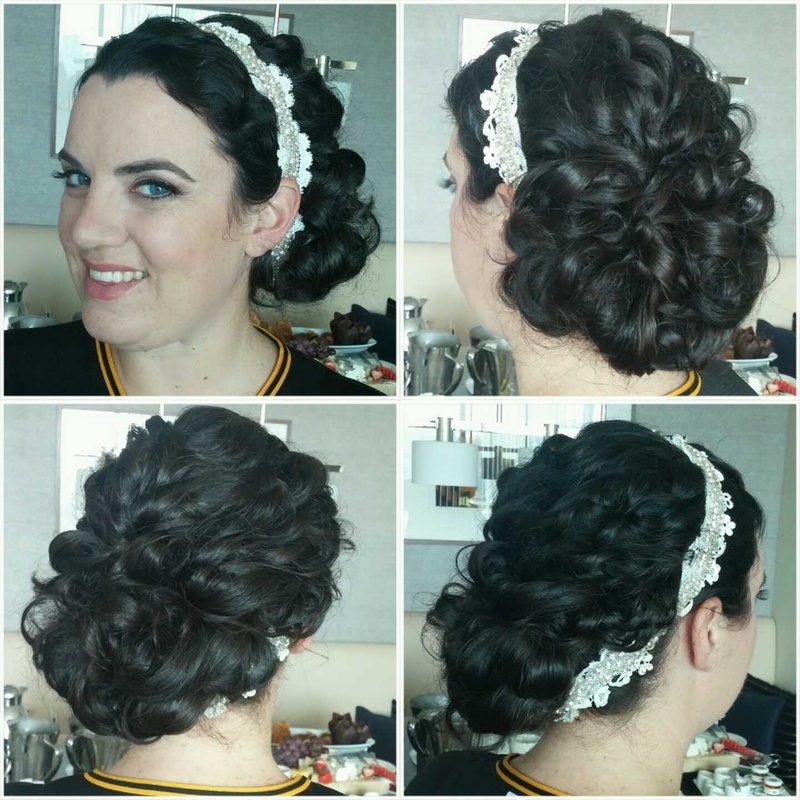 Kris kept her style super sleek and classy while Ashley had braids and lots of texture for her rustic wedding in the park. 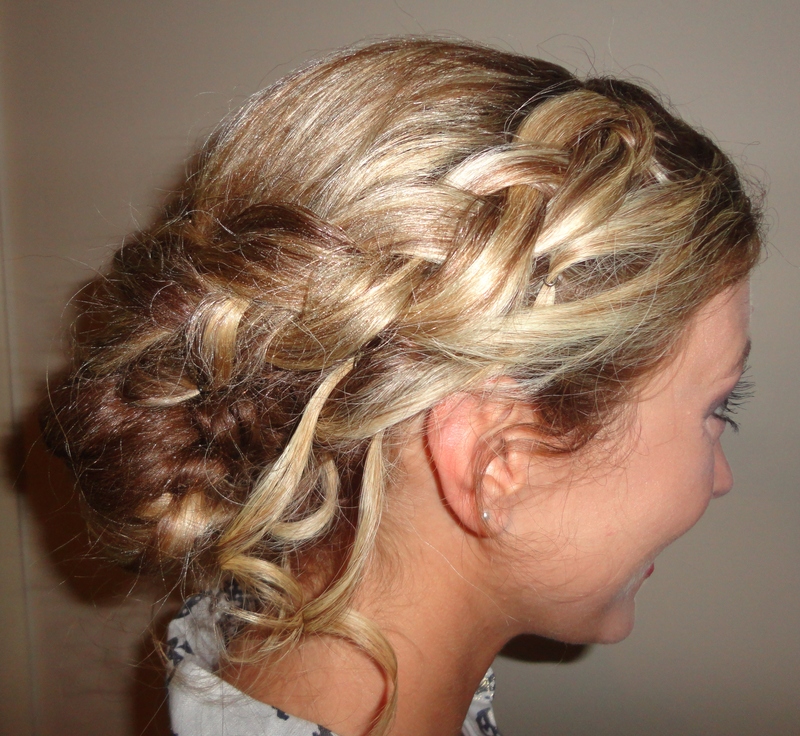 I only had 3 brides for November this year but Katie and Kelly both had great wedding parties and fun hair to play with! The last wedding for the month was another dear friend of mine. 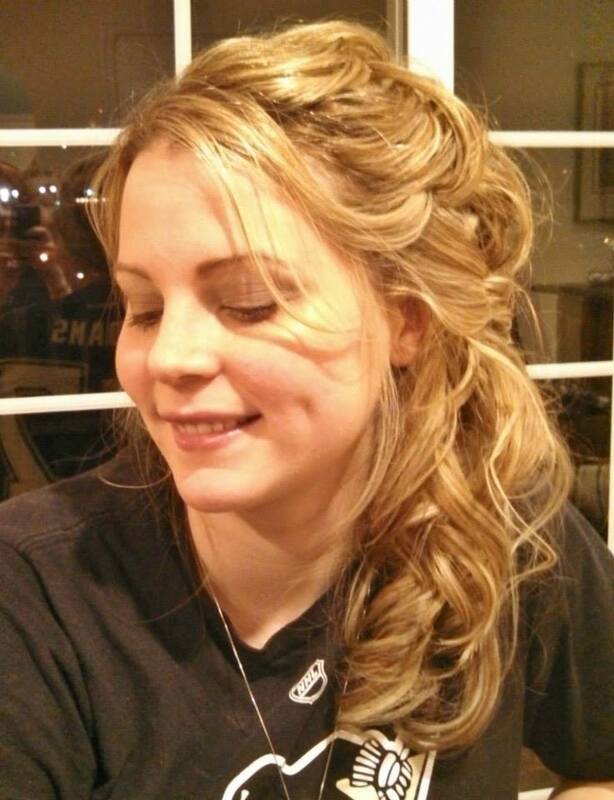 Dinessa’s amazing hair and fun group of friends and family will not easily be forgotten. Finally came the month of December. My bride Jen gets a special shout out for being so understanding. In late September, I somehow hurt my back. Well the week before Jen’s big day, my surgeon and I decided that surgery was the best way for my pain to end. So while she and I had worked out a plan at her trial, I was unable to be there for her wedding day. My great friend and talented stylist, Nikki covered for me big time as I went under the knife. 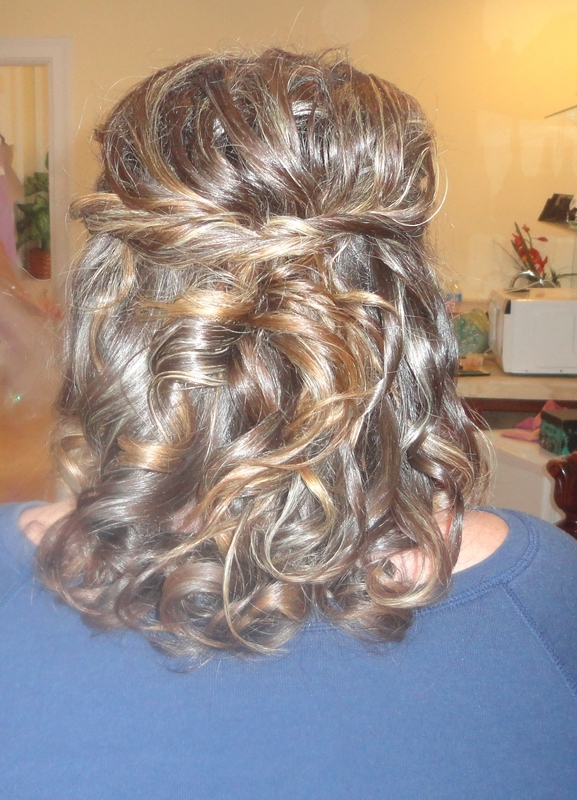 Jen rolled with these changes like a true bridal champ and she looked amazing as she walked down the aisle. 2014 was a spectacular year. I consider myself so lucky to have been a part of each of these amazing wedding days. As you can see, each one was so different and that makes my job even more fun. Thank you to everyone for choosing me to be there with you. Enjoy your time as newly weds, love each other so much and always have fun! After looking back at this year I am so excited to see what 2015 will bring! 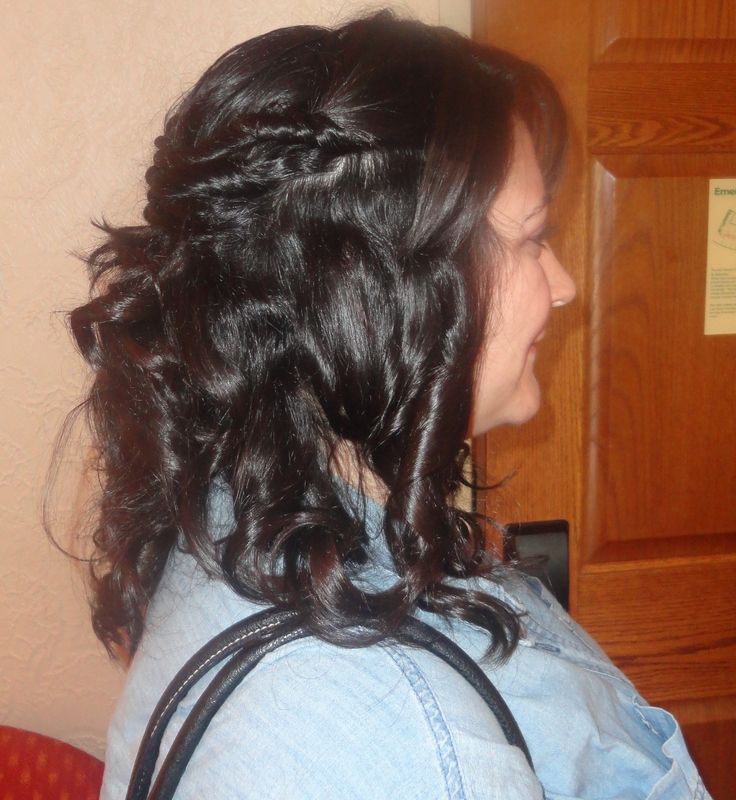 Last weekend, I got to spend time with a great bride-to-be as she and her family got ready for her wedding. Caitlin had been planning from out of state, so the morning of her wedding was the first time that she and I met. 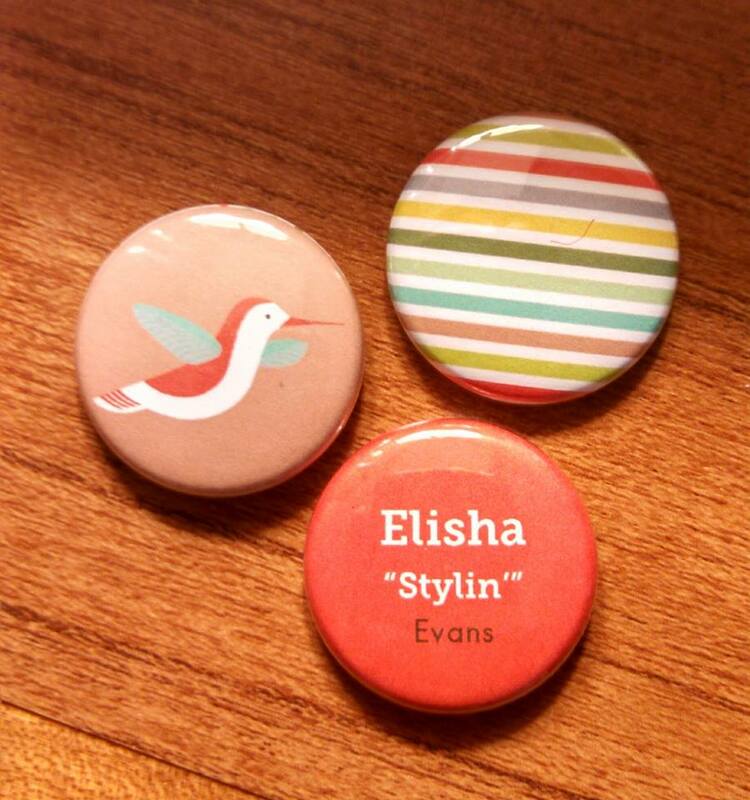 She shared with e a few photos of styles that she liked. 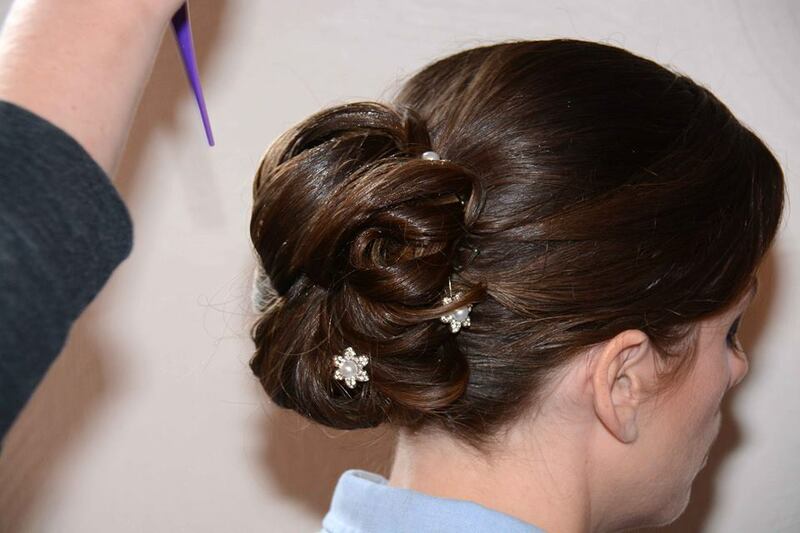 A loose updo, with lots of texture and a little bit of sparkle from a clip made for a beautiful style for Caitlin. As she was getting ready for the day, Caitlin surrounded herself with some really great ladies. I didn’t get photos of all of them but I do have a few to share with you! 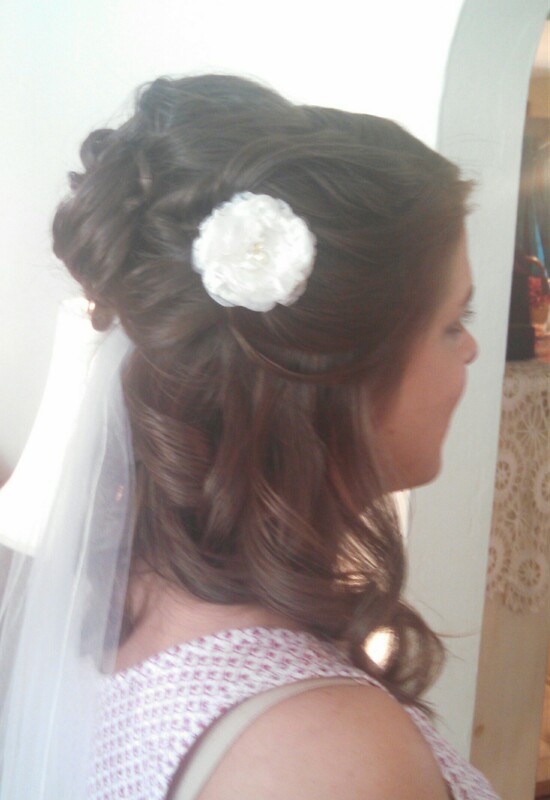 Thanks to the lovely bride for letting me be a part of her special day. She and the awesome style she chose to wear will not soon be forgotten by me. 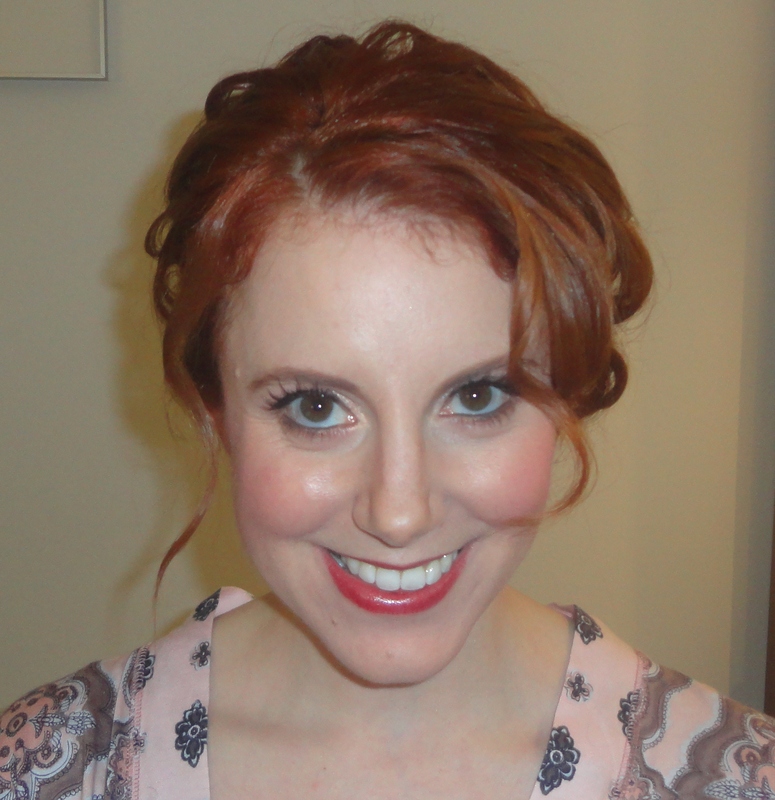 Makeup by the talented Audrey from All Dolled Up! 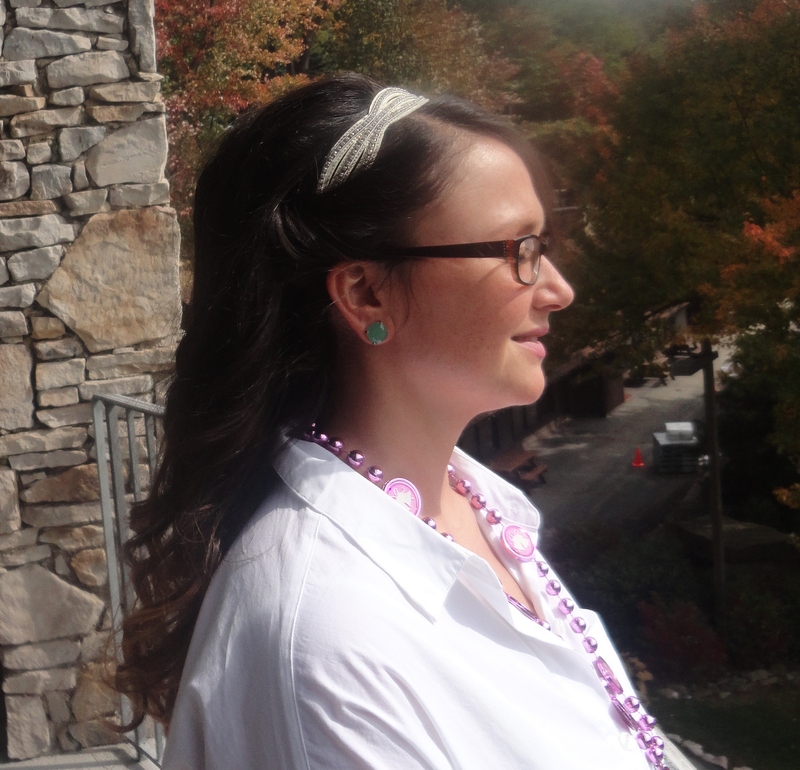 The first Friday in October, I got to travel to 7 Springs Resort to style hair for Kristen on her wedding day! 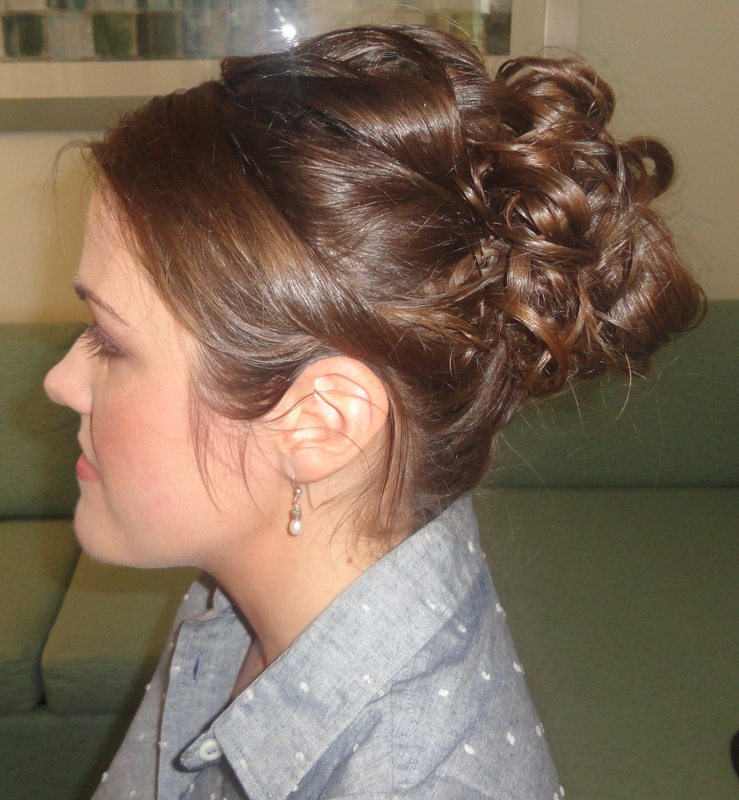 When she and I met a few weeks back to practice her wedding hair, we tried several different styles. 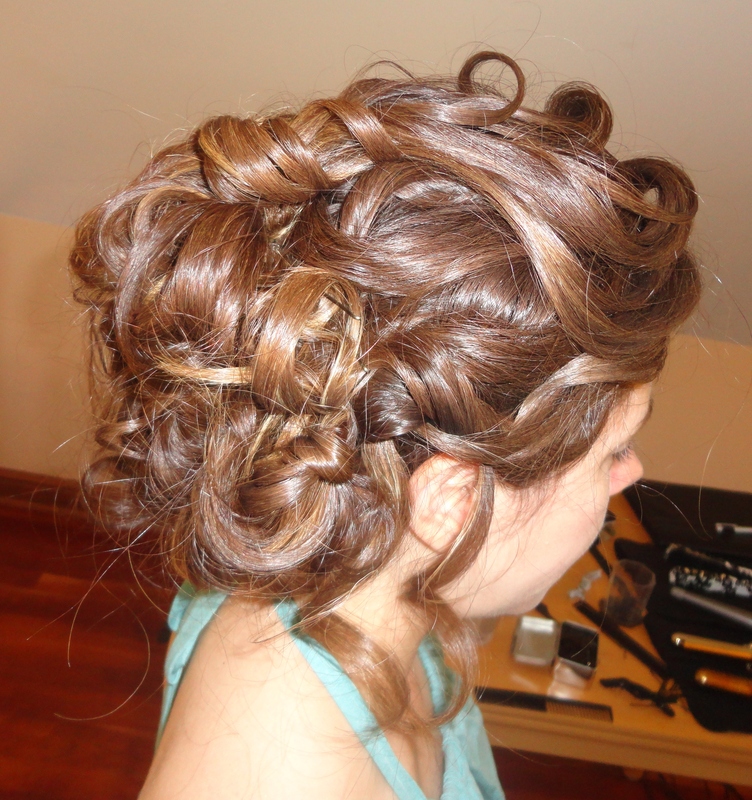 On the day of the wedding, she wanted her hair to have a very easy look. 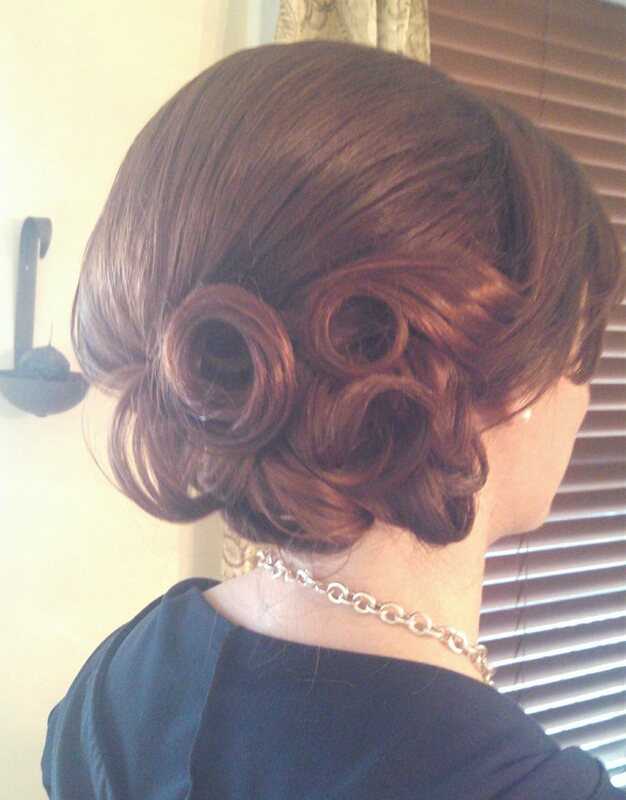 Soft curls, and a few strand pulled back. She also chose to wear a really fun headband. 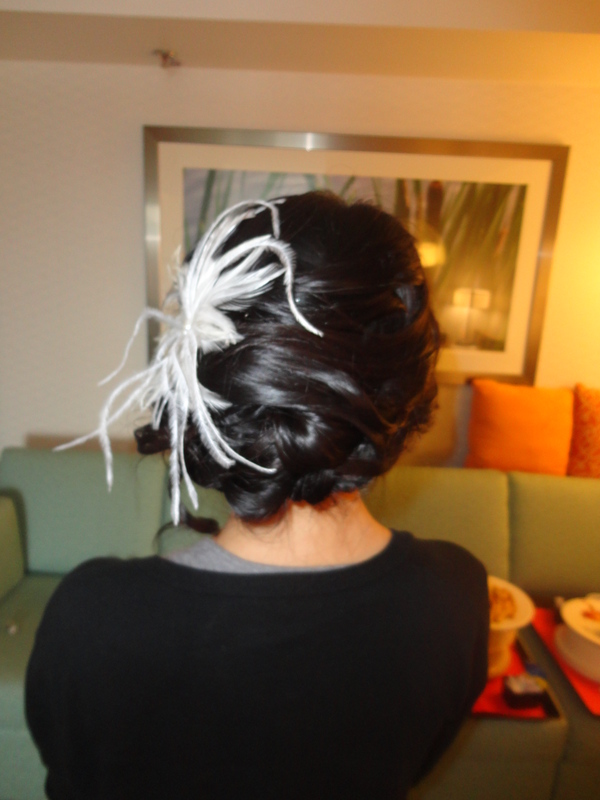 I also had the privilege of styling for some of the bride’s closest friends and her sister! It was a really fun day and I am happy to have been a small part of it. 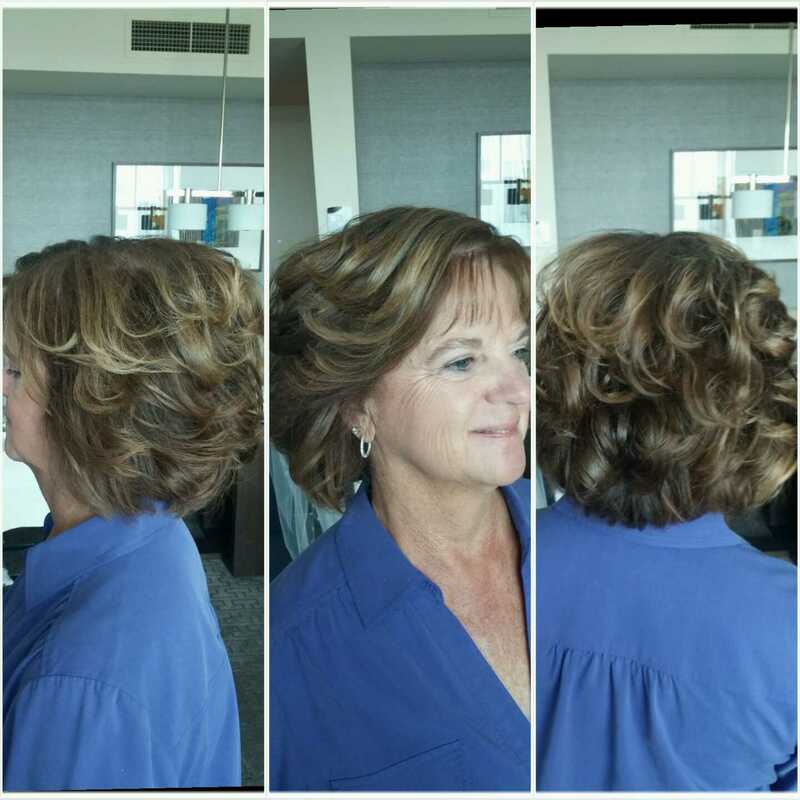 Thank you to Kristen for choosing me! All the best wishes to the newly weds as they start this chapter of their life together.